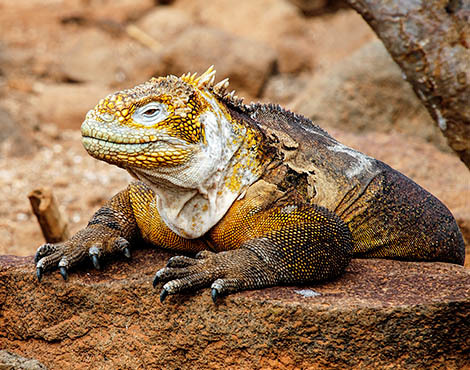 The Galapagos land iguana is one of three species of land iguana found in Galapagos. This large yellow lizard inhabits the arid zone across a number of the islands, but went extinct on Santiago island in the early 20th century. 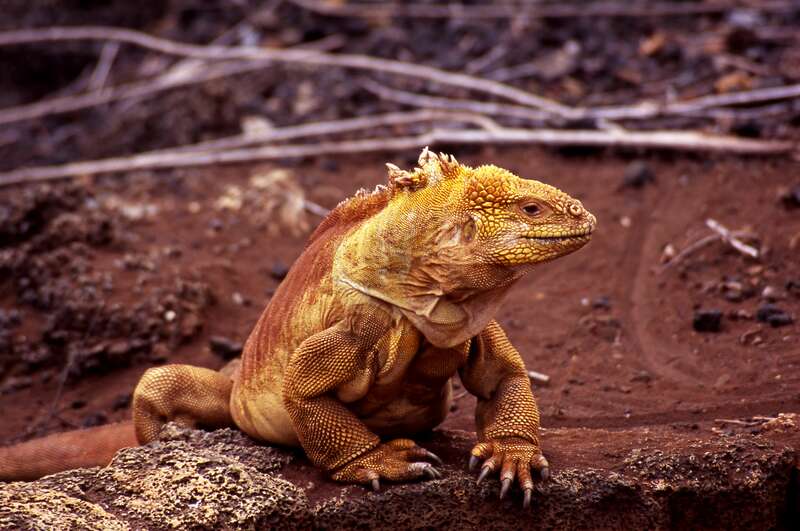 The Galapagos land iguana (Conolophus subcristatus) is currently classified by the IUCN Red List as Vulnerable but this status has not been reviewed since 1996. They had been extinct on Santiago island since the early 20th century which is thought to have been due to introduced animals, such as feral cats and goats (which have now been removed from the island). These introduced animals continue to cause decreases in land iguana populations on other islands through competition for food, and predation of eggs and juveniles. This has been made worse by the fact that the land iguanas have an ageing population and 80% of the population have limited reproductive success. 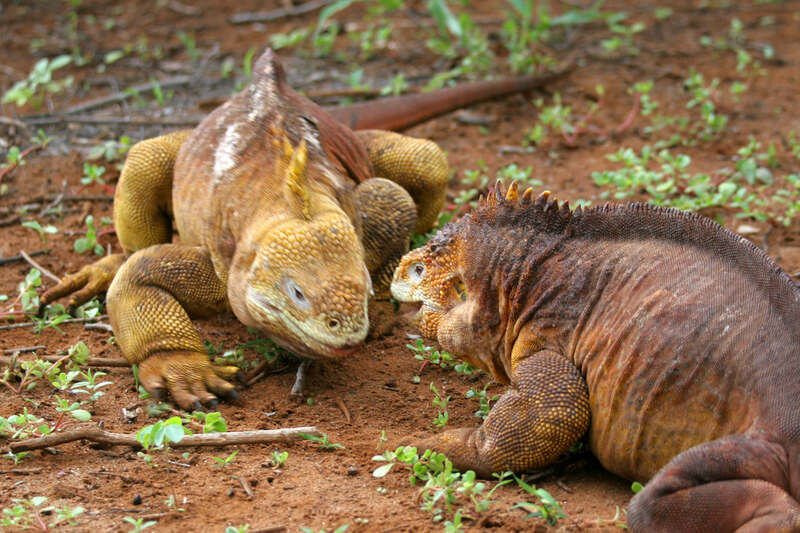 The Galapagos Land Iguana Project aims to gain more understanding into the decline of these reptiles. By tagging individual land iguanas, the team, led by Luis Ortiz-Catedral, gathered as much data as possible to assess the current population size and health status across Fernandina, Isabela and Santa Cruz islands. 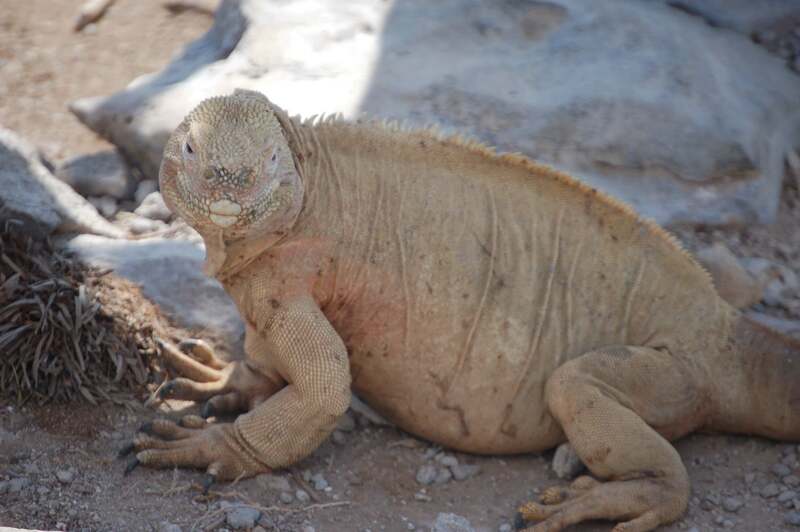 This has provided the information needed to reintroduce land iguanas to Santiago island. 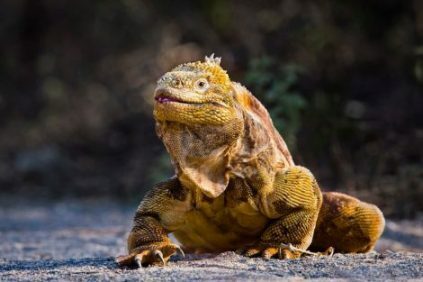 In January 2019, 1,436 Galapagos land iguanas were reintroduced to Santiago island by the Galapagos National Park and Island Conservation. The reintroduction has occurred to boost the survival of Galapagos land iguanas, but also to help restore Santiago’s ecological health. 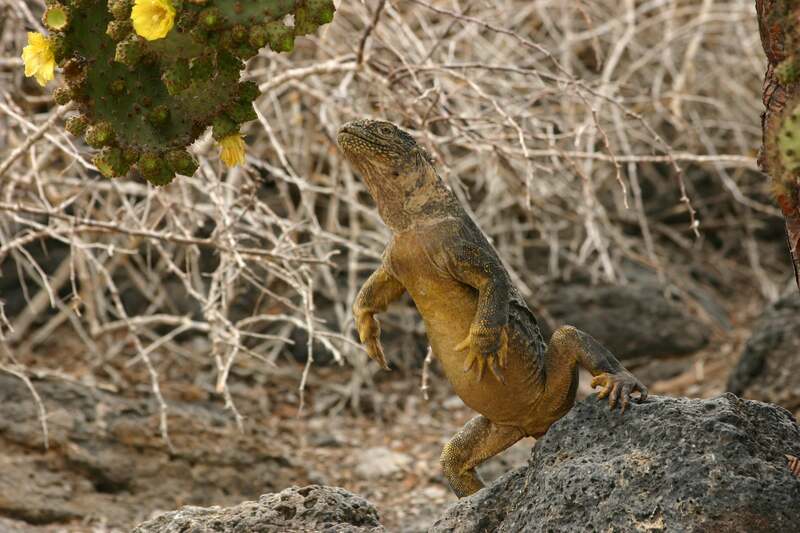 The land iguanas were moved from North Seymour island, where there are over 5,000 individuals which is too many for the island to support so there was not enough food available. The tagging of over 150 iguanas in three populations. The tagging of the smallest land iguana in the last ten years. It was found on top of Fernandina island and measured only 14cm long! Luis Ortiz-Catedral, from Massey University, and the Galapagos National Park will now monitor the individuals released onto Santiago to ensure that the population thrives. This will include determining how well the iguanas survive on the island, whether they establish as a population and, eventually, if they reproduce. Some of the iguanas have been tagged which will make it easy to follow them. 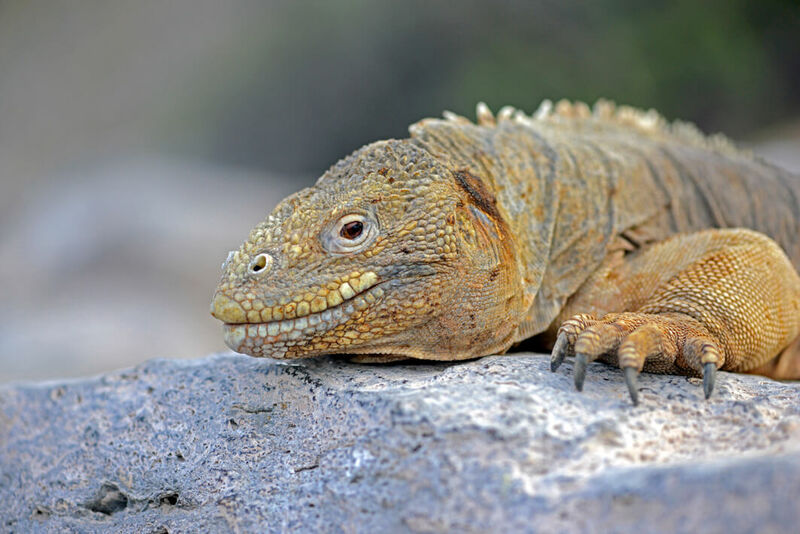 Please help us to protect the land iguanas of Galapagos and work towards bringing these dragons back to the volcanoes of Santiago island by donating today or joining up as a GCT member.